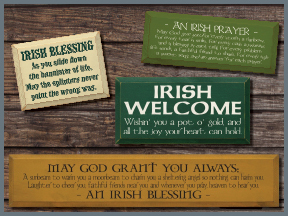 Celebrate your heritage and bring a little luck your way! Show you're green through and through with a solid wood sign painted one of our many shades of green (or any color you choose!) With over 40 colors to choose from, your solid wood sign from Sawdust City will look great anywhere! May this home and all therein be blessed with God's love.